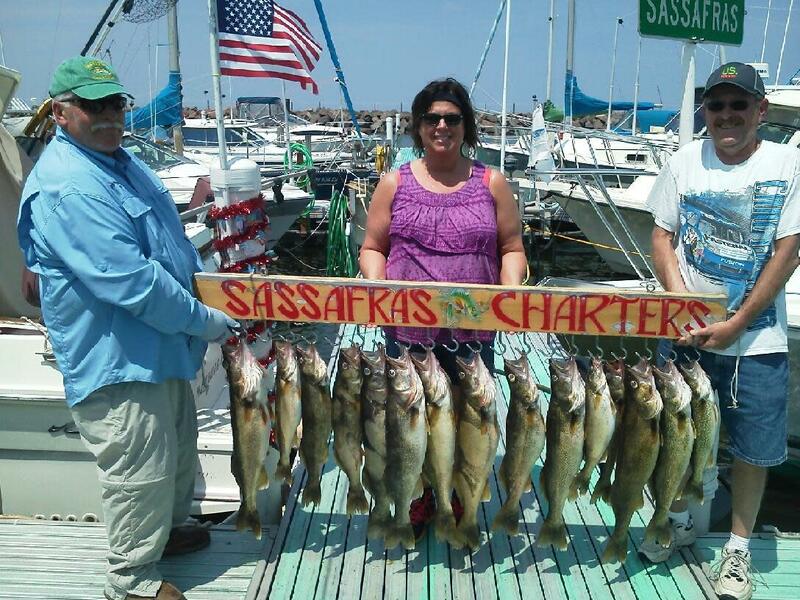 Enjoy exciting fishing excursions on Lake Erie out of Chadwick Bay Marina in Dunkirk. A 29 foot length and broad 10 1/2 foot beam, this twin engine Baha Cruiser offers adequate space for fishing safely on Lake Erie. The Sassafras is U.S. Coast Guard Charter Boat Inspected. Captain Lance Ehrhardt is a U.S.C.G. 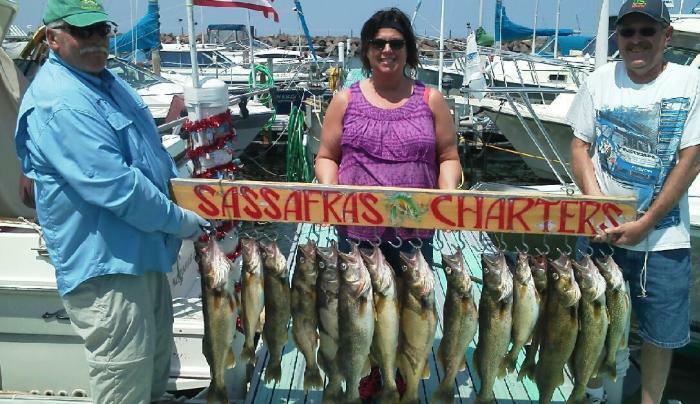 master licensed captain with an active membership in the Eastern Lake Erie Charter Boat Association, National Association Charter Boat Operators and a member of the Southtowns Walleye Association of Western New York. Combined with 30 years of fishing experience.